1. List difficulties in daily living skills experienced by persons with head injury. 2. List evaluation areas important for assessing patients with head injury. 3. 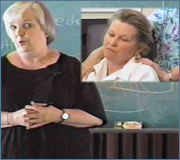 Observe and describe treatment approaches through demonstrations. 4. List the major reasons why follow-up is important.